This price is for an individual unrefurbished cart. 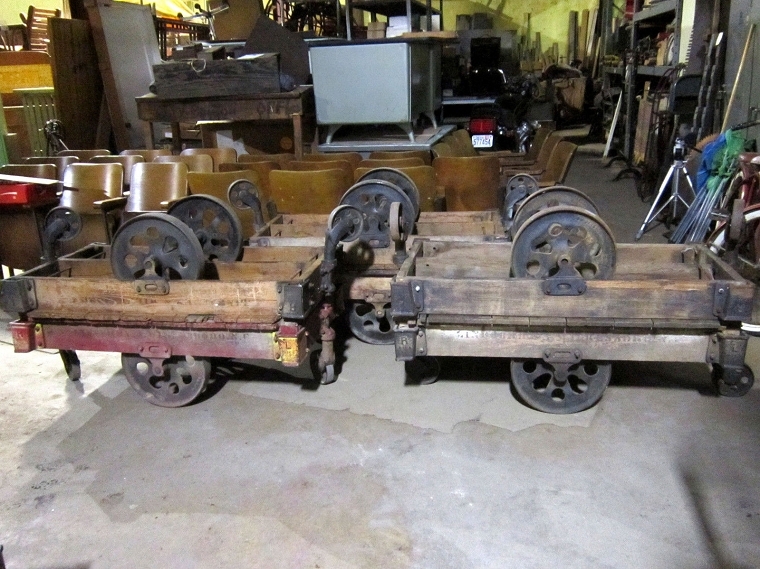 The photos are representative of the cart you will receive, which are the standard Lineberry style with teardrop wheels, and may or may not have original stencils. 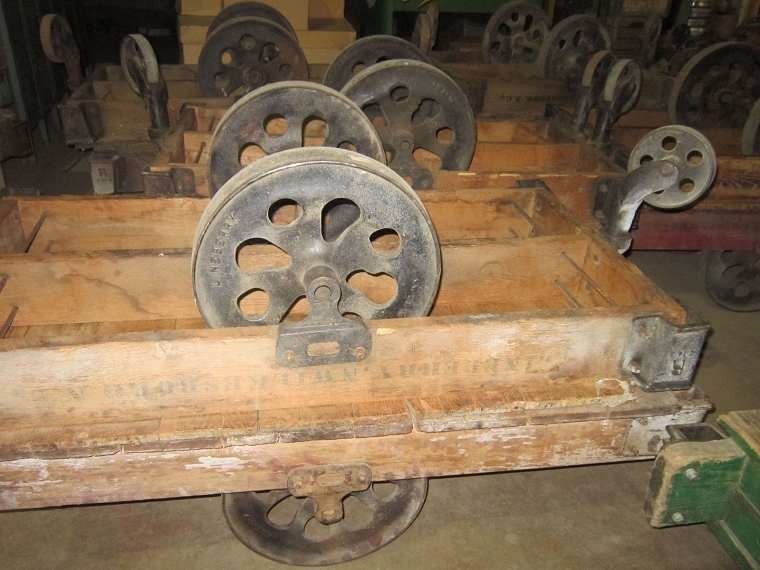 Wholesale pricing for the standard cart, all in very good condition, with original cast iron hardware and original Oak decks. No major damage- a few cracks or casting flaws in the hardware, the occasional cracked or missing deck board, minor flaws from age and use, but overall structurally in excellent condition and complete. Most of them have some surface paint and adhesives, staples, nails, etc. 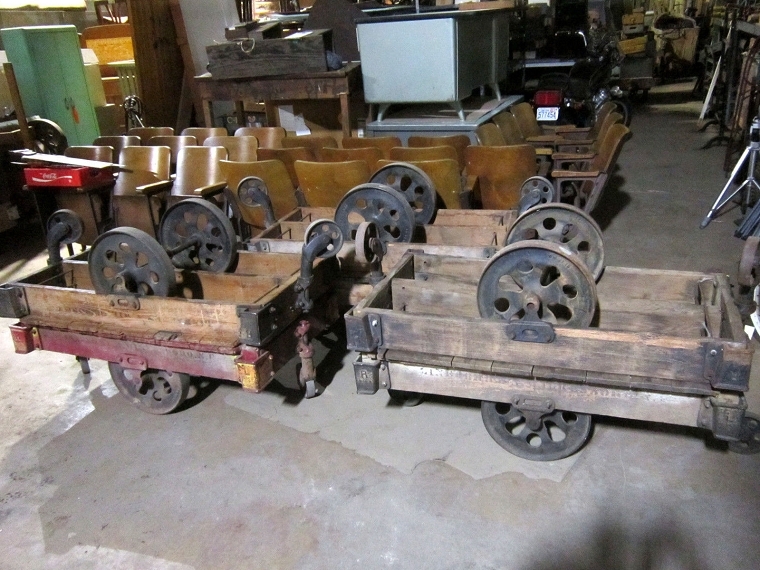 Furniture factory carts manufactured by the Lineberry Foundry in North Wilkesboro, North Carolina from the early 1900s to through the mid century. They measure 27 inches wide by 48 inches long by 16 inches tall. 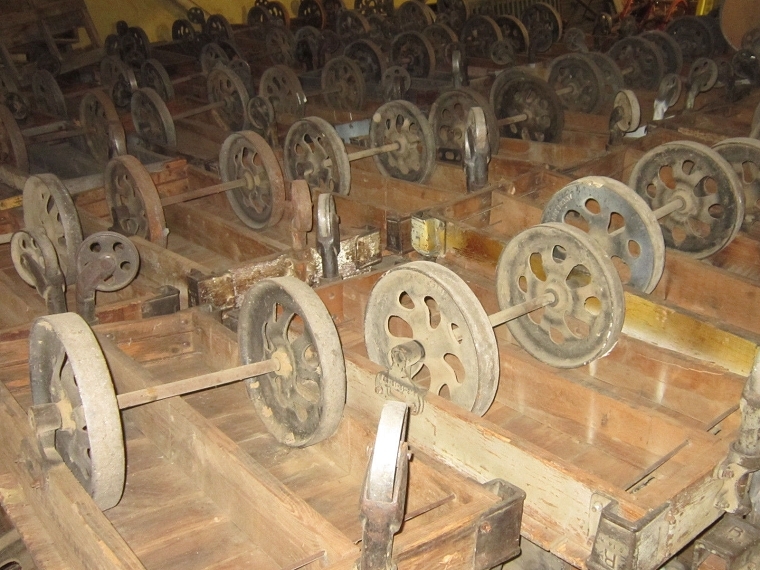 Reclaimed from furniture factories. No modern look-alike recreations here, these are all the vintage real deal. They don't make 'em like this anymore. All carts are Lineberry brand, with teardrop wheels. Many other styles are available, but not as part of this listing. Price does not include freight. We can arrange freight or pickup is available. We're located in central Virginia.